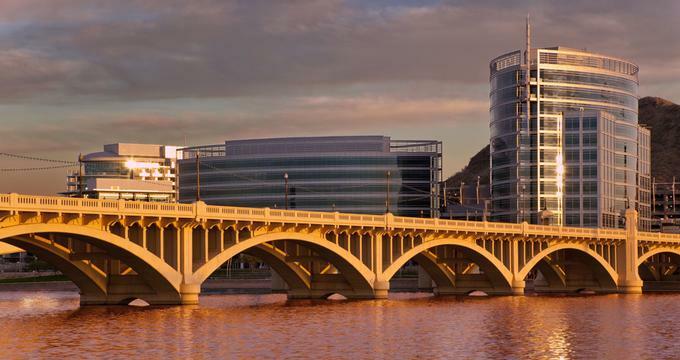 Tempe, AZ, is an offbeat, quirky urban oasis of the Phoenix Metropolitan Area, home to the Arizona State University and many great attractions. Stroll through the pedestrian-friendly downtown with brick sidewalks, a choice of restaurants and lively nightlife. 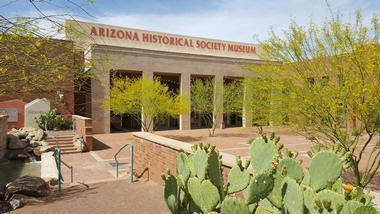 Visit Hayden Butte Preserve, the Arizona State University Art Museum, and the Tempe Historical Museum. Best things to do in Tempe, Arizona with kids include the Halle Heart Children’s Museum, the SEA LIFE Aquarium and Big Surf Waterpark. 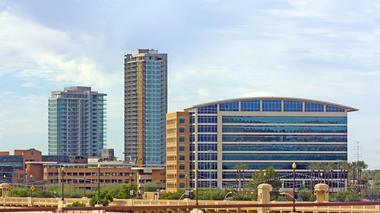 Downtown Tempe is an area located on South Mill Avenue near the Arizona State University Tempe Campus. It is known for its brick sidewalks and its many bars, entertainment venues, microbreweries, restaurants, shops, and its lively nightlife. 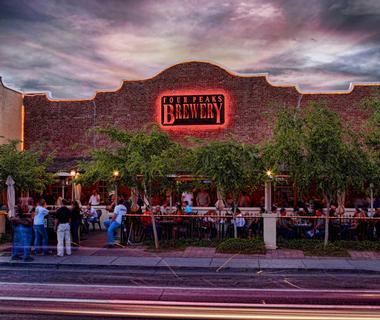 If you are wondering what to do in Tempe today, this is a great place to start exploring. Downtown Tempe is pedestrian-friendly and hosts many special events throughout the year, some of which include the Tempe Arts Festival, the 4th of July Fireworks Celebration, and the New Year’s Eve Block Party on Mill Avenue. Cultural venues include the Gammage Auditorium that presents concerts and Broadway plays such as Cats, Phantom of the Opera, Wicked, and more. Established in 1950, the Arizona State University Art Museum features a permanent collection consisting of more than 12,000 objects. These include art from Arizona and the Southwestern United States; works by Latin American artists, especially Mexican folk art and ceramics; 3,500 pieces of American ceramics; contemporary art including new media; historic and contemporary American and European prints; and much more. The art museum offers several education outreach programs, some of which involve activities in local area schools and neighborhoods. The museum also hosts a variety of events throughout the year. Hayden Butte Preserve is a protected area and a famous local landmark located on the southeast corner of Mill Avenue and Rio Salado Parkway. Also known as Tempe Butte, the butte stands 1,398 feet (425 meters) high. The City of Tempe declared it a park in 1973, and it was designated a preserve in 2002 because of its many desert plants and animals. There are approximately 500 petroglyphs found here, which the Hohokam Native Americans made sometime between 750 AD and 1450 AD. The 25-acre park is a popular area for outdoor exercise, especially hiking. The Tempe Center for the Arts is a visual and performing arts center located on West Rio Salado Parkway along the Salt River in Tempe. Built between 2004 and 2007, the center features striking architecture, and its roof is composed of intricate geometric folded plates. The center serves as the home of dance companies such as ConderDance, Desert Dance Theater, and A Ludwig Dance Theatre; music groups like the Arizona Wind Symphony, the Tempe Community Chorus, and the Tempe Symphonic Wind Ensemble; and a theater company called Childsplay. The Gallery is a visual arts space that displays works by local and international artists. The Tempe History Museum is dedicated to presenting the history of the city of Tempe. In the main hall there is an exhibit entitled Tempe: Distinct, Diverse, Dynamic that explores the history of Tempe through a variety of media. The Community Room Art Gallery and the Changing Exhibits Gallery both host temporary art exhibitions, and the Community Room can be rented for meetings and performances. The museum offers several education outreach programs for children. It also hosts a wide variety of events including children’s plays, concerts, films, and Tempe Historical Society Lunch Talks. Tempe Beach Park is a one-acre city park and local landmark that sits along the Tempe Town Lake. Some of its features include a baseball diamond, other athletic fields, and a splash playground called the Splash Pad, which features a slide, waterfall, spray cannons, and interactive play equipment. 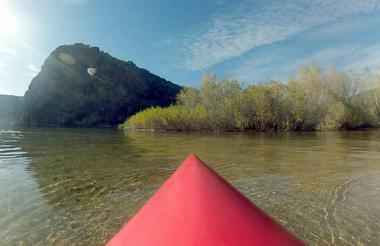 Activities include biking, boating, fishing, kayaking, paddle boarding, picnicking, and much more. 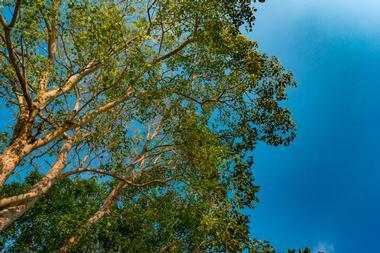 The park also hosts many events such as concerts, festivals, and running events, and it offers a special program called the Living Tree Memorial Program, a program that gives people the opportunity to have a tree planted in memory of a loved one. Opened in 2011, the Halle Heart Children’s Museum consists of 16,000 square feet of space devoted to educating people about the heart and heart disease. Exhibits focus on heart-healthy topics such as healthy cooking and eating, exercise, and many more. The Halle Heart Children's Museum is one of the best things to do in Tempe with kids. The museum welcomes school groups and scout groups, and it sponsors a children’s camp called Camp Heart Beat. Events include Lub Dub’s Healthy Heart Challenge, a fun and friendly competition for both children and adults. The 26,000 square foot SEA LIFE Aquarium contains thousands of aquatic animals including angel fish, clownfish, jellyfish, lion fish, rays, seahorses, and several species of sharks such as black tip reef sharks and white tip reef sharks. The aquarium also features an interactive touch pool called the Interactive Rockpool, where children can touch several aquatic creatures, including crabs, lobsters, and sea stars. The aquarium is also involved in animal conservation, and it rescues and cares for disabled or injured sea animals including an endangered green sea turtle named Ziva, now happily living in the aquarium’s 161,000-gallon display. 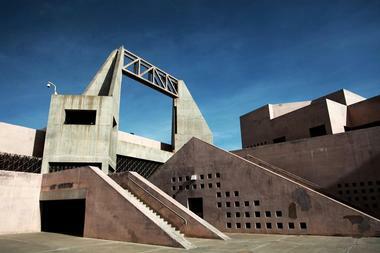 ASU Gammage is an auditorium located on South Forest Avenue on the campus of the Arizona State University. The auditorium is a historic building: it was the last public commissioned building designed by architect Frank Lloyd Wright. Built between 1962 and 1964, the auditorium is named after Dr. Grady Gammage, president of the university from 1933 to 1959 and close friend of Frank Lloyd Wright. With a seating capacity of 3,000, the auditorium features three levels of seating. It is known for its good acoustics and its collapsible orchestra shell. The auditorium serves as the venue for operas, symphony concerts, organ recitals, and much more. Located on South Arizona Mills Circle, Arizona Mills is a large indoor outlet shopping mall in Tempe. Opened in 1997, the mall contains more than 185 retailers and 6,000 parking spaces. The interior of the outlet mall features abstract graphics and several pieces of artwork. Some of the stores include Burlington Coat Factory, Last Call Neiman Marcus, Ross Dress For Less, and the Sports Authority. The mall is also the home of Sea Life Arizona and the largest IMAX theater in Arizona. Tempe Marketplace is a large open air shopping center located on East Rio Salado Parkway along the Salt River in Tempe. Opened in 2007, the shopping center consists of more than one million square feet of retail space sitting on 130 acres of land. The shopping center features more than 120 retailers, entertainment venues, and restaurants, and it is divided into two areas: an outer ring that houses large retail stores and an inner ring called the District, which contains smaller shops. There is a large courtyard in the middle of the District that has a stage where there are musical performances and a large screen showing local sporting events. Sun Devil Stadium is an outdoor football stadium located on the campus of the Arizona State University in Tempe. Built in 1958, the stadium has been renovated and enlarged several times. With a seating capacity of 64,248, the large stadium, sometimes referred to as the House of Heat, features a natural grass playing surface. The stadium is the home of the Arizona State Sun Devils, and it hosts the annual Cactus Bowl. In addition to university games, the stadium has also hosted pre-season professional football games between the New York Jets and the Minnesota Vikings as well as between the Green Bay Packers and the Denver Broncos. Tempe Diablo Stadium is a baseball field located on West Alameda Drive in Tempe. 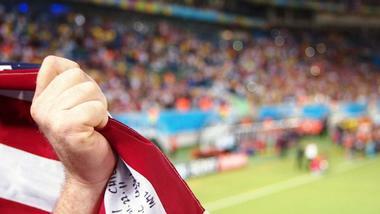 Built in 1968 and extensively renovated in 2005, the stadium has a seating capacity of just under 10,000. The renovation targeted several parts of the facility such as the main stadium, the Major League Fields, and the Minor League Complex. The stadium serves as the spring training facility of the Los Angeles Angels of Anaheim. It is also the home field for the night games of the Arizona League Tempe Angels. Concessions provide traditional baseball food and drinks; there are also several concessions that sell a variety of specialty food. Kiwanis Park consists of 125 acres and a 54,000 square foot recreation complex owned by the City of Tempe. The park features an amphitheater, a lake called Kiwanis Lake that includes a boat dock, a children’s playground, several soccer fields, a tennis center with 15 courts, several baseball fields, and a number of volleyball courts. The recreation center features an indoor heated wave pool as well as lap swimming. The park offers several programs for adults and for children and hosts events such as birthday parties. Riverbound Sports is a family owned and operated paddle board shop that sells and rents standup paddle boards, street longboards, inflatable kayaks, and much more. The shop also offers paddleboard instruction as well as yoga and other fitness classes. Paddle boarding is appropriate for all age groups and all levels of experience and fitness. House of Tricks has two tricks: Robert and Robin Trick, who opened this delightful restaurant in 1987 in a meticulously renovated 1920's cottage. With two more historic neighboring houses added as private dining rooms and lush gardens and a deck for al fresco dining and parties, this charming oasis is a place where the residents of Tempe often come to celebrate and treat themselves. Chefs Scott Umscheid and Andrea Bales serve imaginative versions of contemporary American cuisine with light Asian, Mexican, and French influences. If you are looking for romantic date ideas in Tempe, this is a great place to try. 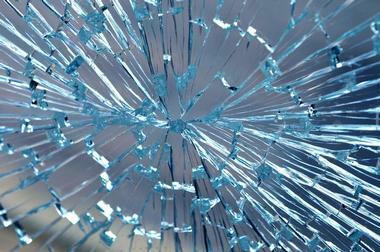 It is difficult to define Simply Smashing. Located on University Drive in Tempe, Arizona, it is officially called a "Rage Release Room." It is a space where people are invited to vent their frustration, anger, and rage by smashing, crushing, and breaking various objects in a safe, protected, and airconditioned environment. It is a combination of a gym, therapy space, anger management room, and amusement park, and it is proving so successful that it is now popping up all over the country. Each exercise, with the client’s favorite music playing in the background, lasts about 25 minutes, and there are all sorts of objects that clients can use to vent their suppressed rage: Glassware, dishes, computers, televisions, car windshields, baseball bats, hockey sticks, and much more. Participants must wear safety goggles, gloves, and coveralls and must be over 18. 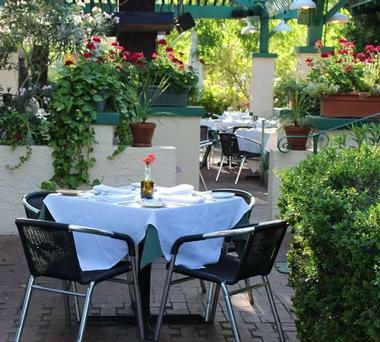 After you’re introduced to Ethiopian cuisine at Café Lalibela, you will become a life-long fan. 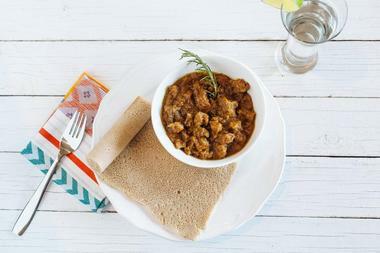 This simple, unassuming downtown eatery serves authentic Ethiopian dishes, and they are so authentic, they don’t even provide diners with forks or knives with their meal. The cuisine revolves around crepe-like bread called injera, which you dip into all kinds of stews called wats. Ethiopian food is all about spices, which they bring all the way from Ethiopia to transform simple ingredients as carrots, cabbage, and potatoes into a delightful, delicious Tikil gomen. They serve superb Ethiopian coffee with all dishes. You do not have to know how beer is made to enjoy it when it is good. Still, it is fun to learn a bit about the process and watch it come out of big, shiny machines and into your mug. At Four Peaks Brewing Company, you can do both. You’ll taste some excellent beers, take a tour of their brewery, and talk to the folks who make it. The brewery occupies a former creamery, a lovely old brick Mission Revival building built in 1892. High wooden ceilings and 35-feet high clerestory windows create not only a great atmosphere for making beer, but also for hanging out with friends and sampling a brew or two. They also have great pub grub to go with it. Ask them to recommend what goes better with a burger: India American Pale Ale or Scottish Style Ale. They have won quite a few awards for their beers. AZ Heritage Center at Papago Park is a museum dedicated to preserving the history of Arizona. Although it focuses on the history of the 20th and 21st centuries in Arizona, the museum also features exhibits of the early settlement days and a Copper Mine Exhibit, a part of the museum’s gem and mineral collection. The Copper Mine Exhibit is a scale model of an Arizona copper mine that shows how the copper ore was brought up from the earth and made into everyday products. The museum rents out its space for special events such as parties and wedding receptions. 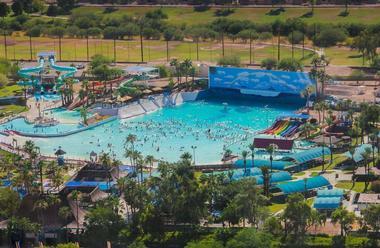 Big Surf is a water park that features the first wave pool in the United States. Opened in 1969 the wave pool was designed by Phil Dexter. Initially, surfing competitions were held in the wave pool, but these were discontinued due to safety concerns. Other features were added to the park later, including Bora Bora Bay, Otter Slides for children, and several slides for adults such as the Black Hole, Hurricane Slides, and Tornado Twisters. The waterpark has also hosted concerts performed by top musicians such as the Beach Boys, Chicago, Elton John, Pink Floyd, the Red Hot Chili Peppers, and others.